IPR’s unique programs open up your horizons and make you a more interested and interesting person. Even things you know or care little about become more important to you when presented on public radio. IPR helps you stay abreast of what’s going on in the world, especially when you don’t have time to read as much as you’d like. You know that you can’t find classical music anywhere else on the dial but on public radio. And think how often your life has been changed by something or someone you’ve heard on public radio! You rely on IPR to bring you the programs you want and need. Likewise, IPR depends on you for support. More than 80 percent of IPR’s program budget comes from member support. 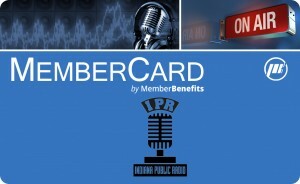 If public radio is important to you, please become a member now. 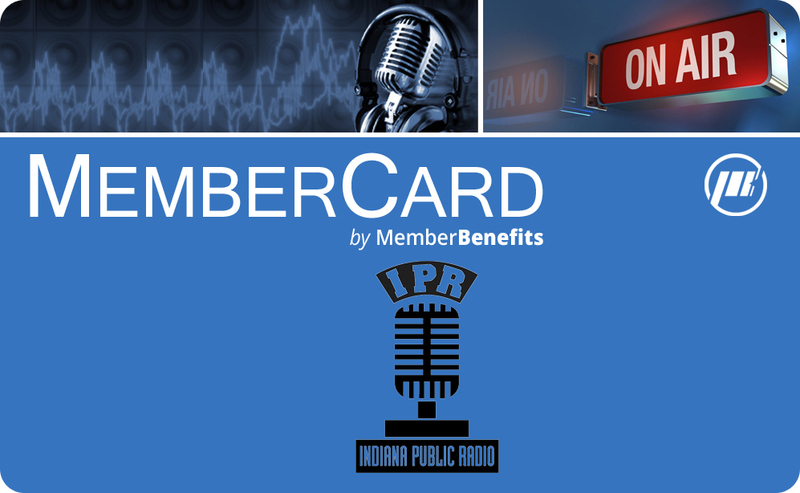 When you pledge $100 or more, you’re eligible to receive the IPR MemberCard, valid for 2-for-1 benefits across the state. Why should I pledge online? Pledging online saves a lot. It saves your time and ours. It saves money and postage. Making a secure pledge online even saves trees! Pledge right now using the secure online pledge form. Or you may choose to use one of the convenient methods listed below. Call our toll free number: 800-646-1812. Mail your pledge to: Indiana Public Radio, Ball State University, Muncie IN 47306. Print out the online pledge form and fax it to 765-285-8937. How can I maximize my pledge? By not receiving a gift, your entire contribution is tax deductible. You can receive a tax credit for 50 percent of your contribution (up to a maximum credit of $200 for joint returns and $100 on single returns) by filing a CC-40 form with your Indiana state tax return. Many companies match employee contributions to Indiana Public Radio. To see if your company does, contact IPR Member Services. Information: Contact Member Services at 800-646-1812 or iprmembers@bsu.edu.